Rancholme is a working cattle ranch comprised of about 22,500 total contiguous acres. Its offering today represents a generational opportunity that hasnt been available since the 1930s. Located near Decker, MT about 30 miles from Sheridan, WY in the Deer Creek watershed, it is capable of running about 450-500 pairs year-round, plus replacements and herd bulls. It is also ideal habitat for all species of wildlife youd expect to have in that area. Whether its encountering a big mule deer buck or having a herd of elk cross the trail in front of you as the escape to safety in the timber; or, simply a small covey of Hungarian Partridges fly up in front of you in the sagebrush, this ranch will not disappoint. Rancholme is well cared for and maintained without the need for costly cleanup or capital expenditures. It has excellent improvements including 3 well cared for homes, a world-class 300 by 125 indoor arena, really nice cattle working facilities, great fences, and lots of natural and developed water throughout it. It operates with limited labor requirements, its cattle fatten easily without costly supplements, wildlife are plentiful, and winters tend to be milder than other areas in the region. 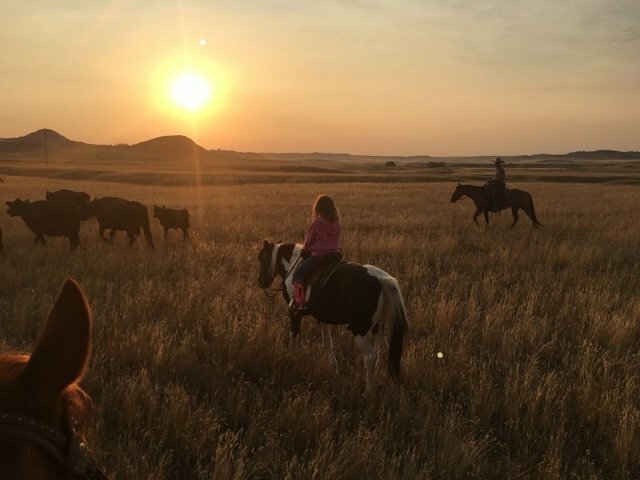 The fact that the ranch has been in the same family for almost 100 years is a testament to how good a ranch this is its perfect for the investor or individual who wants a simple, low cost owner-operated ranch.